Effortless sophistication, this 9ct yellow gold mini curb bracelet is designed to add understated elegance to every outfit, whatever the occasion. 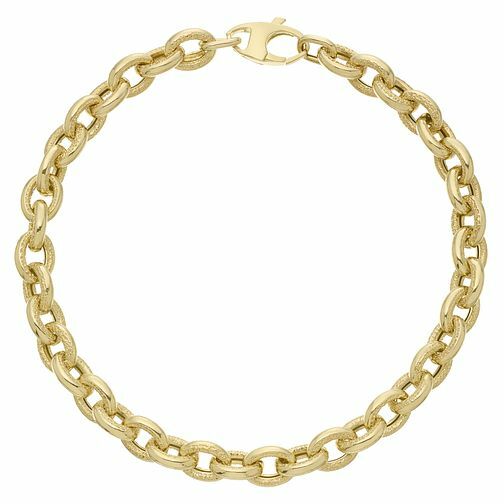 9ct Yellow Gold Mini Textured Curb Bracelet is rated 1.0 out of 5 by 1. Rated 1 out of 5 by Anonymous from Took it back for a refund It was not what I thought it would be like . It looked very cheap earring in mind what I paid for it . I was very disappointed and took back to the nearest shop for a refund .